Here’s another independent video slot review. I’m Ed Roberts, a semi-professional gambler, casino slot addict, and founder-member of the editorial panel here at GamblingInformation.com. 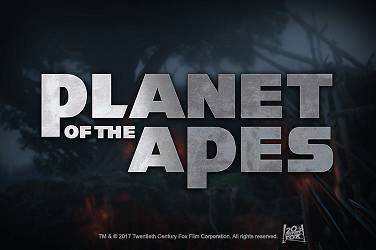 In this review we’re looking at the latest in the long running Universal Monsters series from industry giants NetEnt. This game was only released in January 2018 and it’s been long awaited – there hadn’t been a game in this series since 2015. NetEnt’s “horror” slots are always extremely well crafted and very popular, so let’s see how Phantom shapes up. 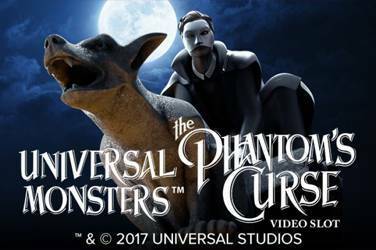 Universal Monsters: The Phantom’s Curse is a beautiful looking themed video slot. It’s a 5 reel, 4 row game with 40 fixed bet/pay lines and beautiful artwork. The game is, of course, based on the classic story that inspired the blockbuster West End and Broadway musical Phantom of the Opera. From the wonderful animated intro sequence, to the atmospheric theatre backdrop to the reels and the superb quality orchestral background music, this is a finely honed slot experience. 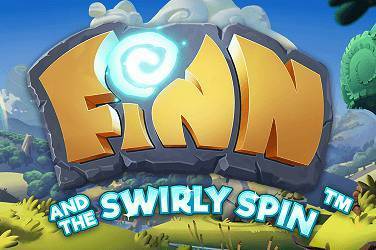 The theme isn’t overdone to the point where it’s distracting, and there are nice touches such as landing bonus symbols on the first few reels will see the remaining spins increase and sound effects raise the tension as you might be in for a big bonus payout. There is no progressive jackpot available here in common with the others in the Universal Monsters series, and the standard game top payout is 4,00 coins. However there are several bonus opportunities triggered by special symbols that mean if you’re a lucky type you can actually land up to 160,000 coins! This is great for players of all experiences and with all budgets, as the minimum bet is only £0.20, but the maximum is a healthy £200. Universal Monsters: The Phantom’s Curse uses wildcards – these act in the standard way and can substitute for any other symbol in the game and increase your chances of a payout when they appear. There are also sticky wilds known as masked phantoms. A free respin will be yours if your get a Stacked Phantom on the first reel and a Stacked Mask on the final one. These two together with the bonus symbol that’s created by this turn into sticky wilds that hold for the free respin and usually results in a solid payout. The other character symbol that’s important is “Christine”, the young girl who is the Phantom’s love. This symbol works with the Phantom symbol to open up the second screen bonus game for some lucrative win opportunities. As with all of NetEnt’s premium games there’s a full payout table available by hitting hte “i” icon on the game screen, and you can see this in both the play-for-real cash game and the free-play version here at GamblingInformation.com. 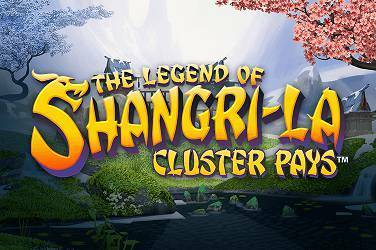 There’s nothing particularly wonderful about the payouts in standard play, with a maximum of 4,000 coins. 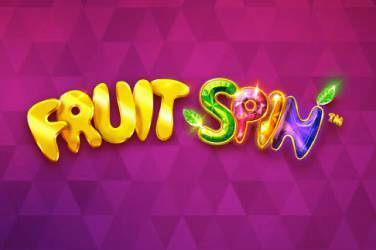 Bonus play sees the chance for some really big wins, though, and the slot’s true potential is revealed with a massive 160,000 coin maximum up for grabs. As well as the Masked Phantom respin feature we’ve already looked at, the key bonus play is available through entering a “pick and click” bonus game. This uses a great “2 stage” play feature. Stage 1 sees you choosing from 8 roses, some have coin wins behind them, some are empty. Keep clicking until you find an empty one and you then move to another pick and click with cracked mirrors – choose one of this to find out what multiplier you have for your coin winnings found in step 1. There’s also a Free Spin bonus. When this activates a chandelier is pulled to the ceiling above the stage with 5 ropes securing it. When the free spins begin, if you land a Phantom symbol it will cut one of the ropes. If all five go the chandelier plummets and a huge payout awaits. This gets more and more likely because all Masked Phantom symbols will turn into fully stacked from the next spin until your free spin round is over. 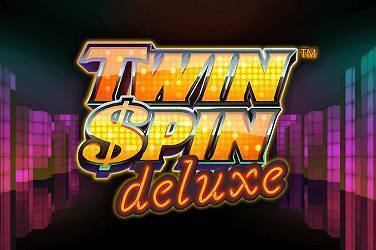 This is a beautifully simple game to play – simply pick your coin size and your bet level and hit the spin button. Coin values can range from as little as £0.01 up to £0.50. If you’re feeling ready for the big time there’s a handy “max bet” button that will place the largest bet your chosen coin size can give and spin for you. If you’re feeling like kicking back and letting the game do all the work you can use the “auto” feature to set up to 1000 spins and sit back and watch as the reels are spun for you. Of course you can interrupt at any time and go back to manual play. Universal Monsters: The Phantom’s Curse has several settings you can tweak including volume level (and mute! ), intro sequences on or off, and more. If you’re playing with real money at one of our recommended casinos you’ll also be able to access a detailed play history with all your bets and wins. This game has been 3 years in the making, and has been highly anticipated – I don’t think many people will be disappointed! 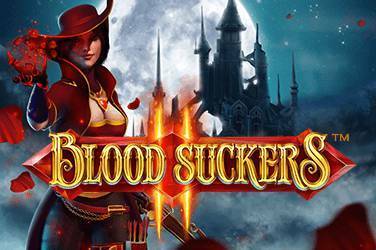 It looks amazing, sounds epic, and the play has enough interesting features to keep you interested for long enough to rack up some potentially big cash wins. Of course you can try the slot our for free here at GamblingInformation.com, but if you want the chance to score up to £160,000 then you’ll need to be playing at a good quality NetEnt casino such as LeoVegas or CasinoHeroes. If you’re not already a member there you can use our exclusive links to sign up and score some great welcome bonuses that you can use towards playing some awesome games with some huge cash prizes. Good luck!